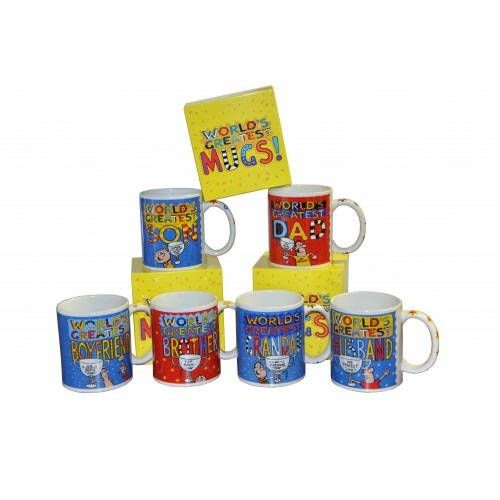 Tell the man in your life he's the world's greatest with this bright and colourful giftboxed mug. 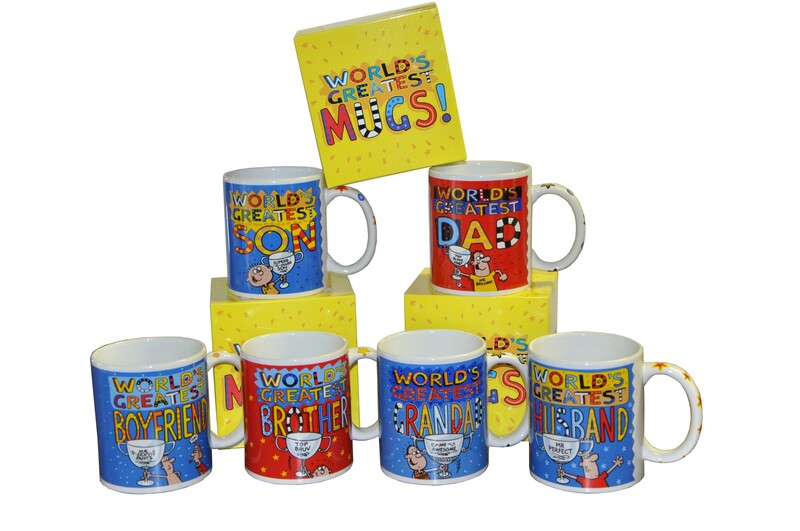 We've a wide range available; World's Greatest Friend, Husband, Boyfriend, Dad, Daddy, Son or Sexiest Man! Pick the message you'd like from the drop down options "World's Greatest ____"